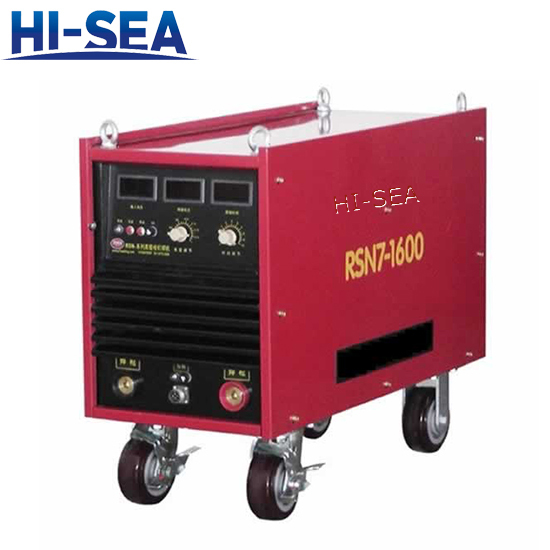 RSN7-1600 Stud Welding Machine is specially designed for generator power supply or power shortage. The construction site of the steel structure, which is often moved, needs to be transported by air and export trade. World-class key projects that require very strict welding quality. The welding material is carbon steel, low alloy steel, stainless steel, copper and other materials with arc weldability. Apply welding on surfaces with an oxide layer, oil film, primer or electroplated workpiece. No deformation after welding, no bump mark. Horizontal welding, vertical welding, pitching welding, all-directional welding. - Low price, less weight, power efficient, safe and reliable. - Easy control and digital display of welding voltage, current and time. - Special torch with extending cables, large lifting force, low heat and durable. 1. When ordering our arc stud welders, the above standard accessories are free of change. 2. Please inform us specifications and quantity of chucks and ferrule foot plate when ordering.